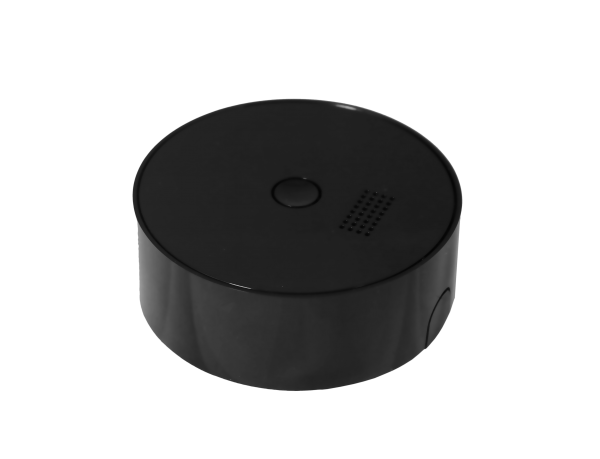 Product information "POPP 433 Bridge - black"
The POPP 433 Bridge enables your POPP Hub to be connected to RF433 MHz devices (fixed code). Therefore you can connect devices like doorsensors and wallplug working with the RF433 MHz technology to your bridge. The bridge will be added to your existing Wi-Fi network. For that you just connect with the Wi-Fi of the Bridge and set up all the settings of your local Wi-Fi and your POPP Hub. Afterwards you can add and control the RF433 MHz devices via the Web UI and the App of your POPP Hub. As a result the 433 Bridge is perfectly made to create a connection between your wall plugs or door sensors of the 433 MHz technology with your Z-Wave devices. The advantage of the RF433 devices is extended range and wide dissemination in DIY markets and other channels. However devices with 433 MHz (fixed code) do not communicate with encryption, bidirectional or with a security standard. The POPP 433 Bridge is only compatible to the POPP Hub or with gateways based on the Z-Way software. Related links to "POPP 433 Bridge - black"